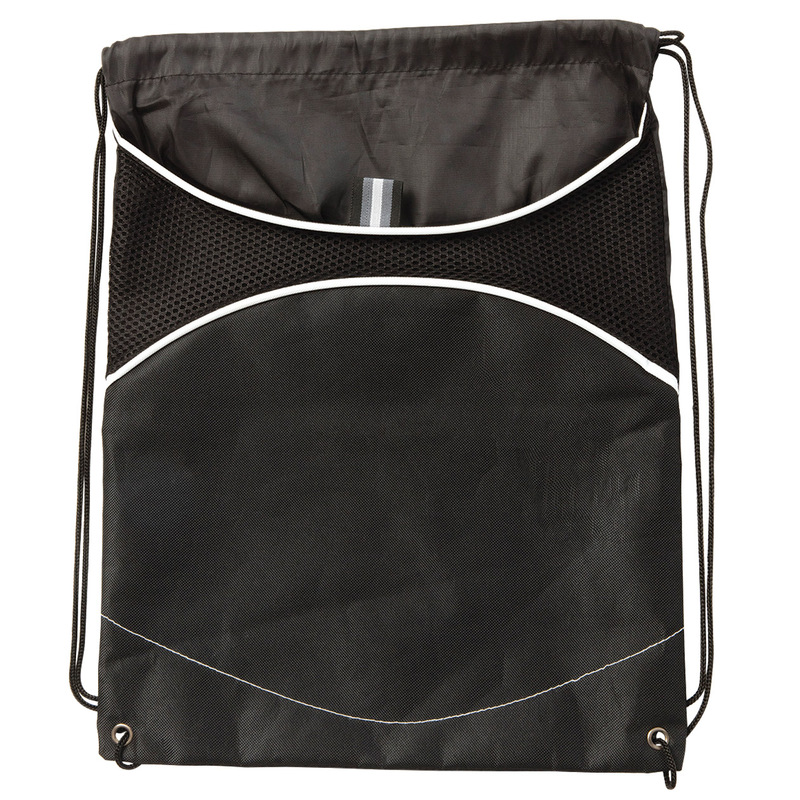 Carry all your essentials for a day trip and show your brand with our drawstring backsack! 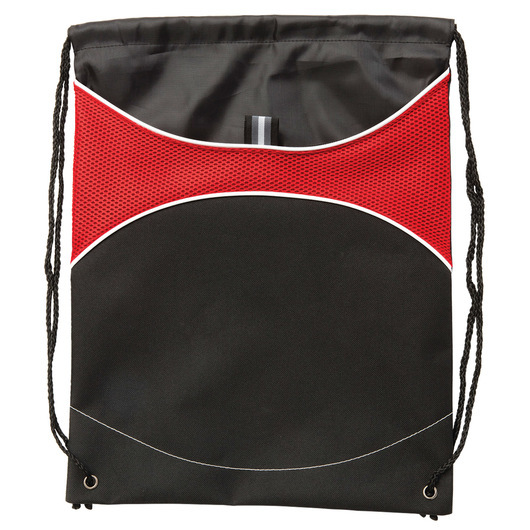 Lightweight bag that is great for carrying a few necessities to the game, an afternoon outing or wherever. 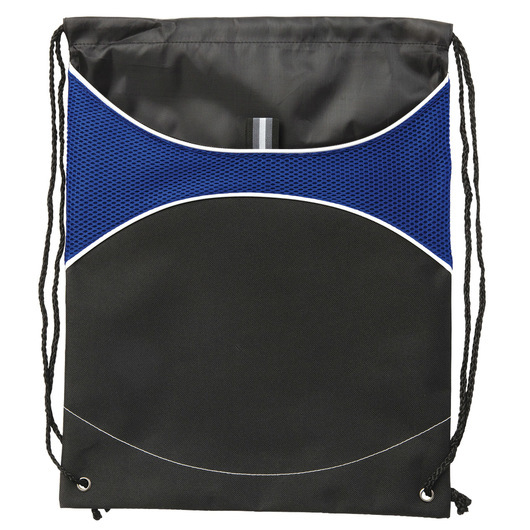 This backsack features a drawstring closure, front storage pocket with Velcro closure, draw cords for use as over shoulder or backpack style carrying, contrast top panel with accent piping, and reinforced eyelets at base. Made from 600D/210D polyester, and has a carrying capacity of 3 litres. 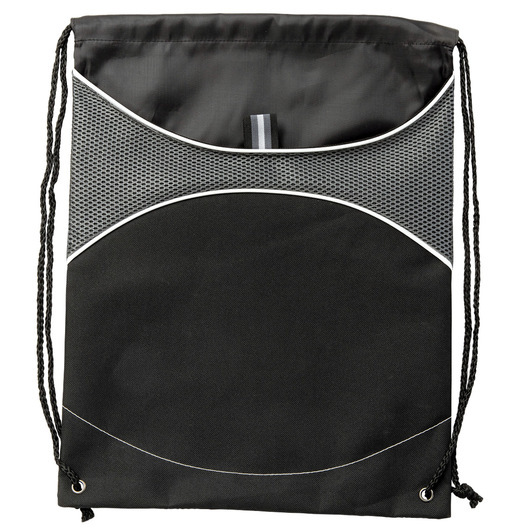 Suitable for school & light travel. Lightweight, economical, & generously roomy. Perfect backpack for casual events.